Here is a caricature completed recently by artist George. 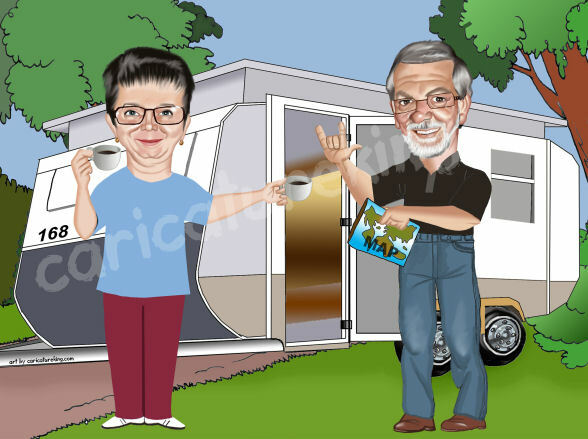 Caricatures make great retirement gifts that people love receiving! “I would just like to say a big thank you to you and George for all the work and changes that were made to the caricature of Bill and Helen. We had Bill’s farewell on Friday and both he and Helen were over the moon with their gift. They absolutely loved it and couldn’t believe how much it looked like them, and loved all of the little small additions we put in – ie hand signal, their unit number and of course the high pants!